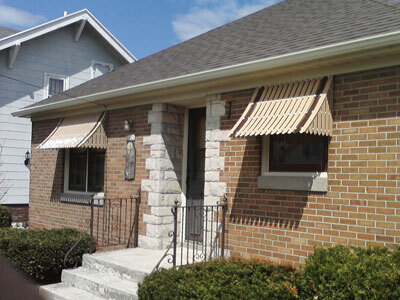 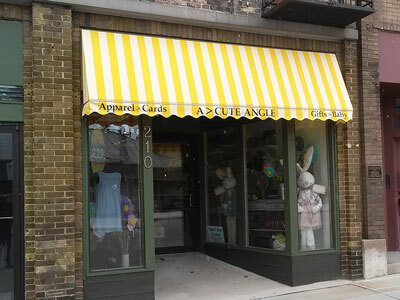 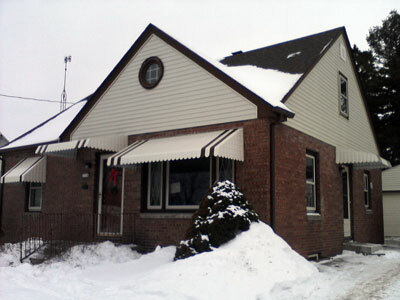 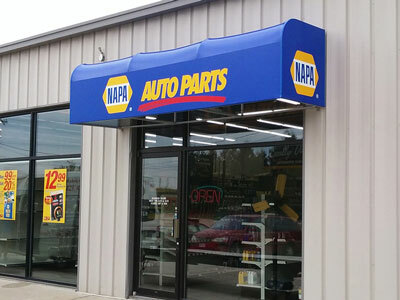 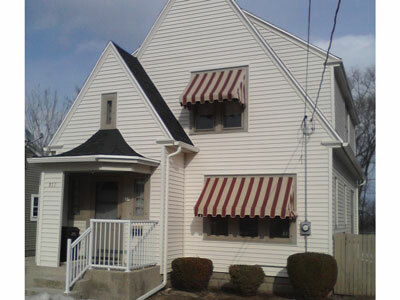 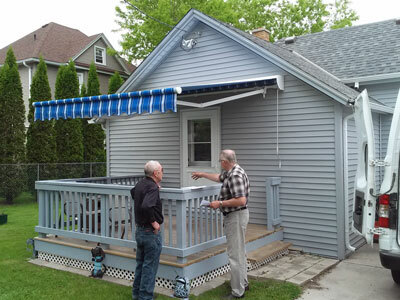 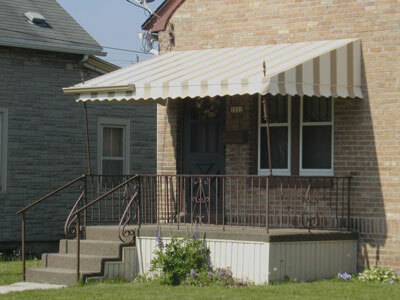 All our awnings are custom designed and fabricated to fit each situation. 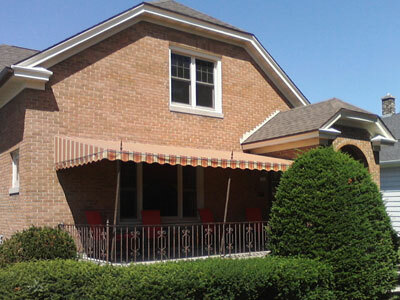 The aluminum frames as well as the fabric covers are manufactured right at our facility, so we can be sure you have the best quality awnings available. 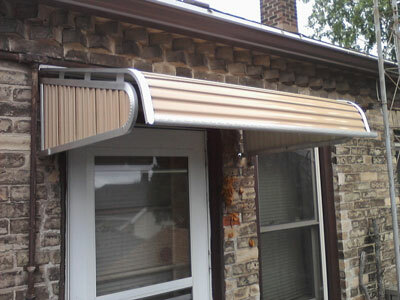 These have welded aluminum frames and are covered with a plastic laminate material. 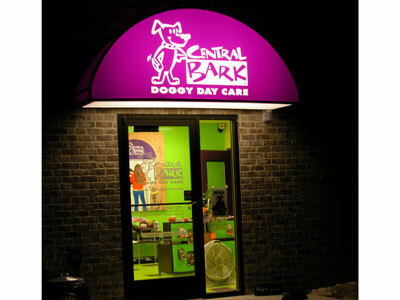 They can be back-lit, or illuminated, for a really eye-catching look. 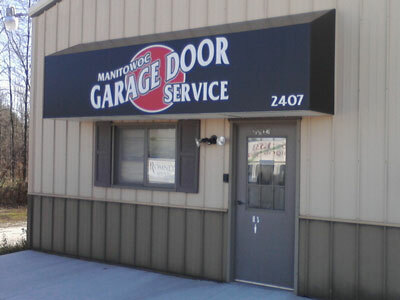 They may include custom graphics to help your business really stand out. 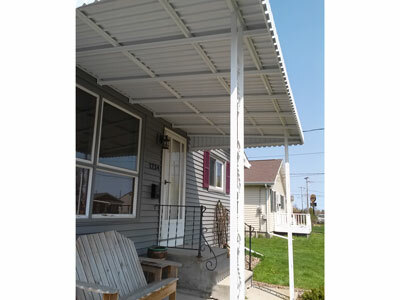 These have welded aluminum frames and can be covered either in a plastic laminate material or in a cloth-like material such as Sunbrella® for a more traditional appearance. 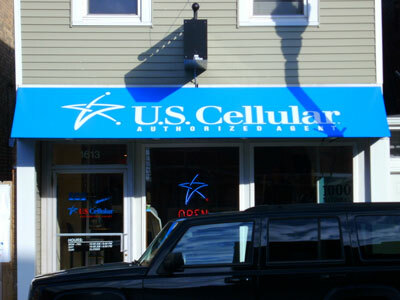 This type is not designed to be back-lit. 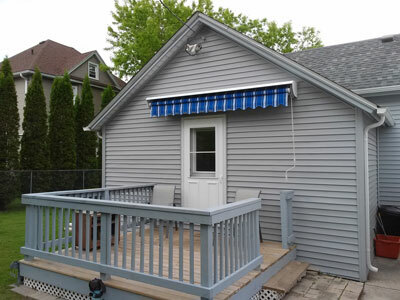 These have welded aluminum frames and are covered in a cloth-like material such as Sunbrella®, which is available in a wide array of solid colors and stripes. 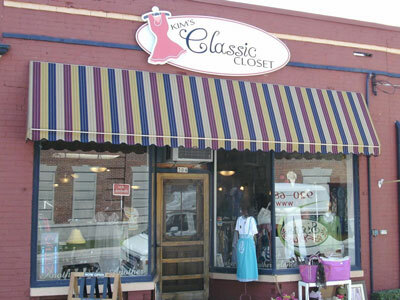 We may also be able to re-cover your older frames with new material. 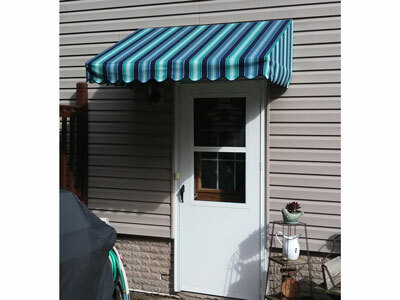 These have an aluminum frame with a baked enamel finish that will not corrode or rust, making them very durable and long lasting. 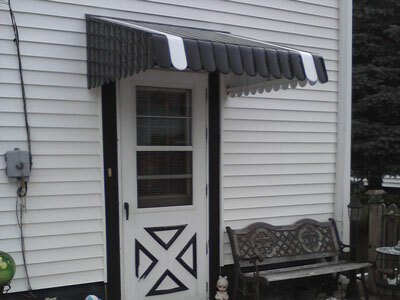 A number of styles are available in custom sizes and colors to match any decor. 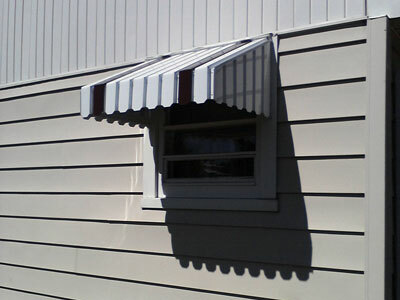 These awnings create cooling shade when extended, and can be retracted when the warm sun is desired. 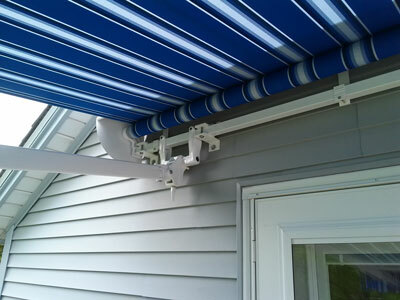 This allows your deck or patio to become a much more flexible living space, as well as reducing heat and sun damage inside your home. 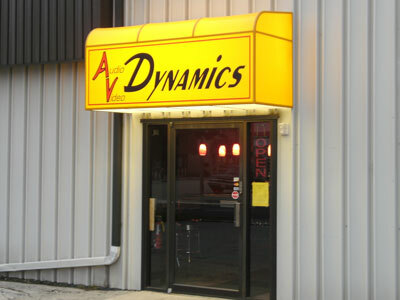 They are available in manual or electric models.